Duende is the oldest tapas bar in Amsterdam. 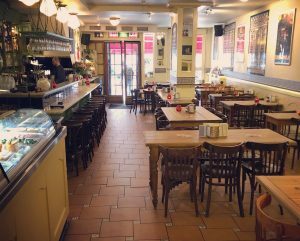 For over 25 years we have been showing that quality does not have to be complicated.With high-quality tapas, live flamenco shows and daily dance classes, we bring the Spanish feel to the Jordaan-area. Wether for a good glass of late-night wine or for an abundant diner; in Duende you are always welcome!